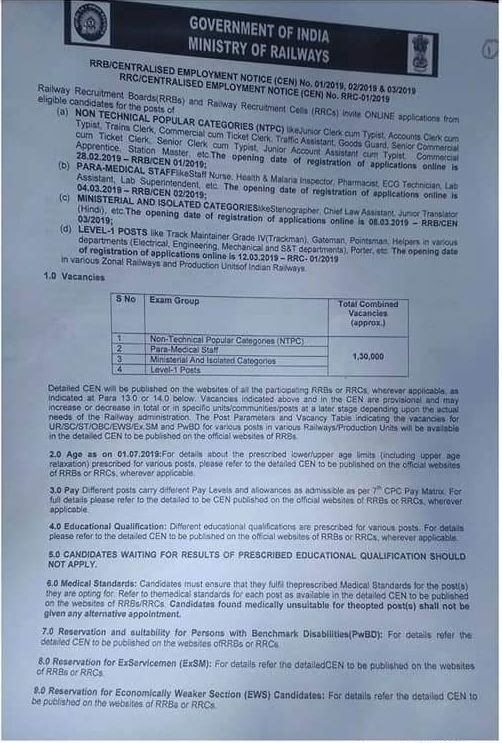 Indian Railway Recruitment 2019 for 1.3 Lakhs NTPC, Level-1 & Para-Medical Post. 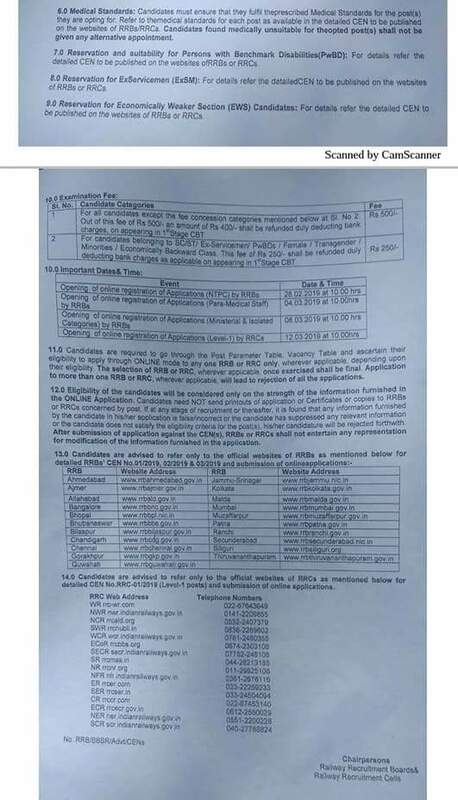 Indian Railway Recruitment 2019 For NTPC, Level-1 & Para-Medical Post. No of Vacancy- 1,30,000 Posts. Interested Candidates Can Apply Through Official Website. After filling Online Application Candidates Need to Pay Application Fee on or before: Mention Dates.